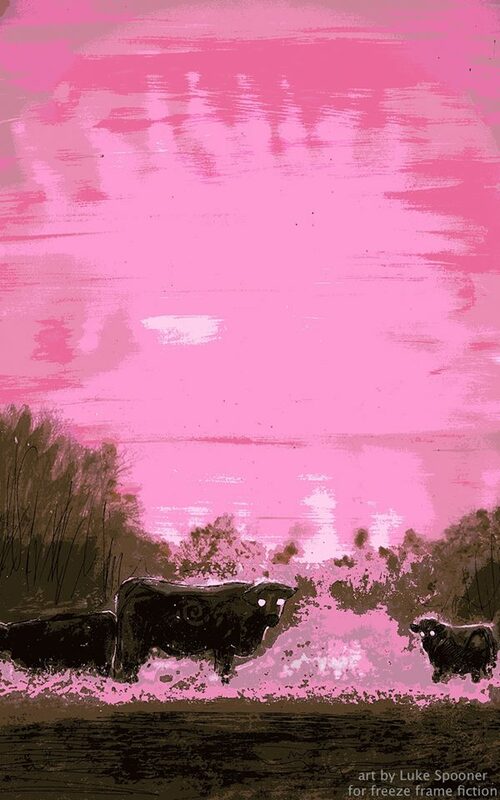 Here is the artwork for my story “Of Baggage and Bovines.” The story was published on Freeze Frame Fiction’s website. The artwork is by Luke Spooner. This entry was posted in Flash Fiction and tagged Freeze Frame Fiction, Luke Spooner. Bookmark the permalink.